Wuxi city in East China's Jiangsu province hosted a series of themed events to celebrate the first-ever World Internet of Things Day on Aug 7. Among the attendees were scores of entrepreneurs in China's IoT industry as well as scholars and local officials. Former Premier Wen Jiabao proposed to build a Sensing China Center in Wuxi during his visit of the Wuxi IoT Research Institute on Aug 7, 2009, a watershed event for the industrialization of IoT technologies in China. Last December, 30-odd IoT-related institutions across China voted to set Aug 7 as World IoT Day. At a conference in the Wuxi National Hi-Tech District (WND) in the morning, Wang Jinjian, director of the WND, spoke about the rapid development of the IoT industry in the district, which now boasts more than 1000 IoT enterprises and 125 model IoT application projects. According to Wang, the revenue of IoT industries in the WND exceeded 140 billion yuan ($22.2 billion) in 2017. 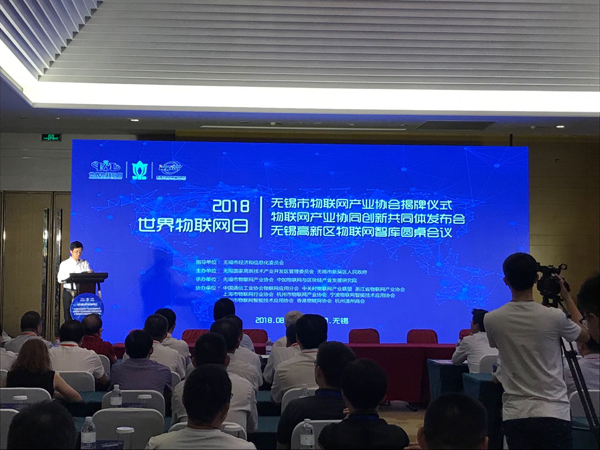 The conference also officially launched the Wuxi Association for the IoT Industry (WXIoT). Right afterwards, eight industry associations, including the Z-Park IoT Industry Alliance, the Shanghai IoT Industry Association, and the newly-established WXIoT, signed an agreement on site to establish a cooperative alliance. A parallel event in the morning was a roundtable seminar conducted by members of the WND IoT Think Tank, which was established in 2017 and currently has 50 top IoT experts. In the afternoon, Li Xiaomin, Party secretary of Wuxi city, and Chen Guozhi, director of the International Trade Department of Ontario, Canada, witnessed the opening ceremony of the Chinese branch of the Canada-China IoT and Blockchain Research Institute now located in Wuxi. The only National Sensor Network Innovation Demonstration Zone in China, Wuxi city is the birthplace of numerous international IoT standards and the permanent host of the World Internet of Things Exposition. 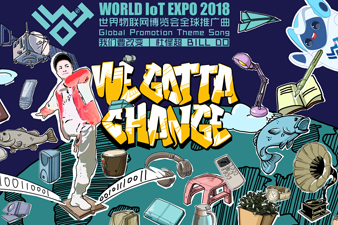 The World IoT Expo 2018 will take place in the city in mid-September.